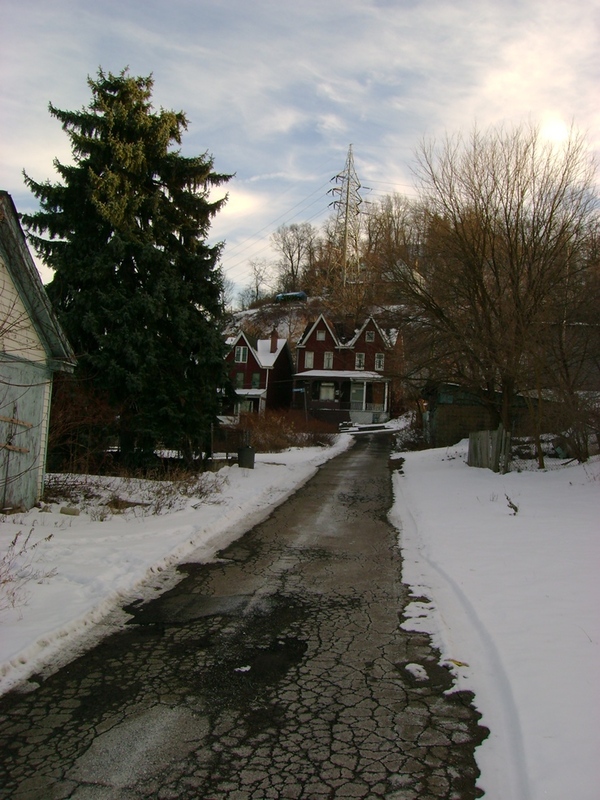 The following are my photographic tours of various historic towns, neighborhoods, buildings, and places. 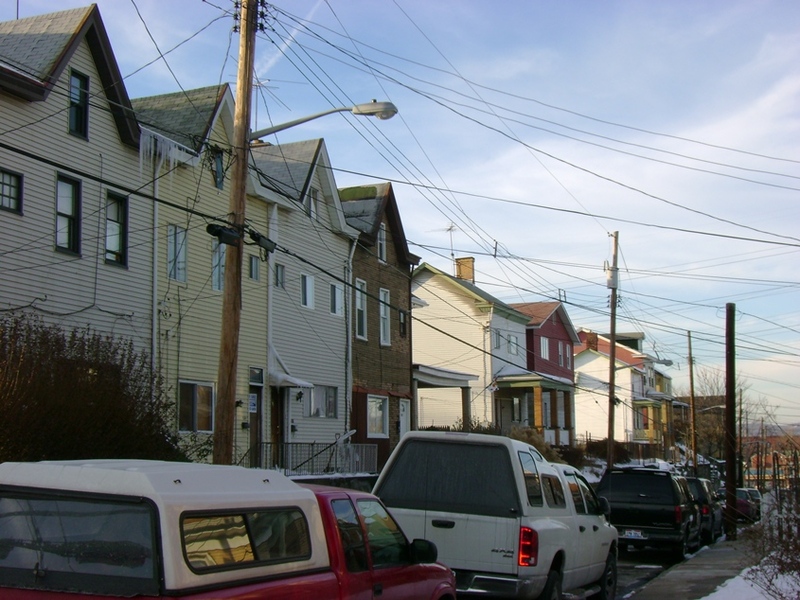 Some are within Pittsburgh city limits, while others lie within the greater Pennsylvania or rust-belt region. My travels always take me to new cities, and I will be sharing my photographs here. 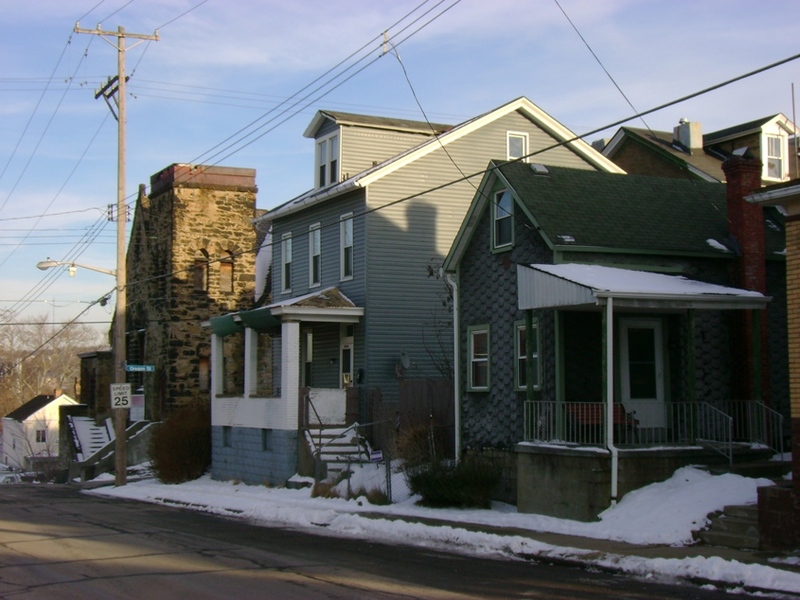 I have tried to focus on neighborhoods and places which are under-appreciated and neglected, as well as those which have ample historic character and charm. Included with my photographs are writings intended to convey the identity and conditions of places and, to the limit of my understanding, the role each plays in the city or region as a whole. 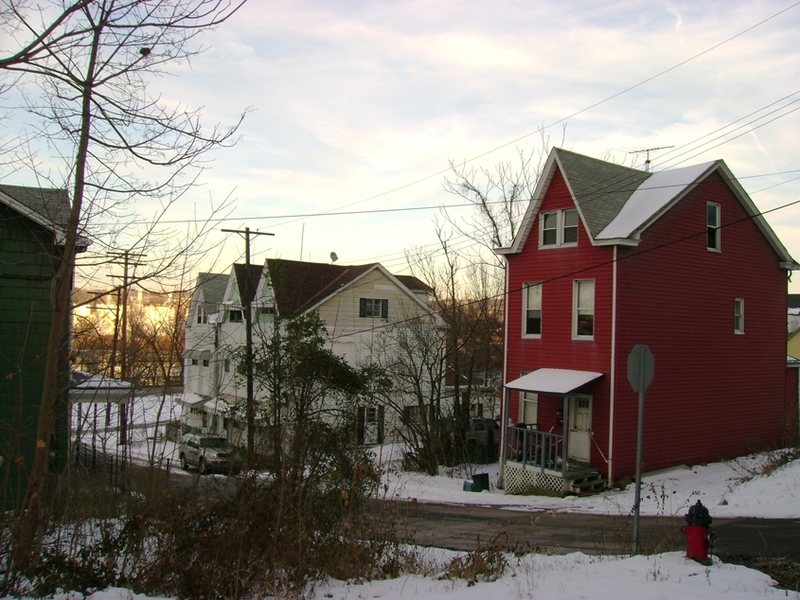 Neighborhoods and towns can range from prosperous to seemingly impoverished, but each has a place in history and, hopefully, for the urban pioneer with a vision. Finally, the Pittsburgh region has many unique things worthy of being photographed. Not all of them can be documented here. All photography by Jonathon Denson, unless otherwise noted. 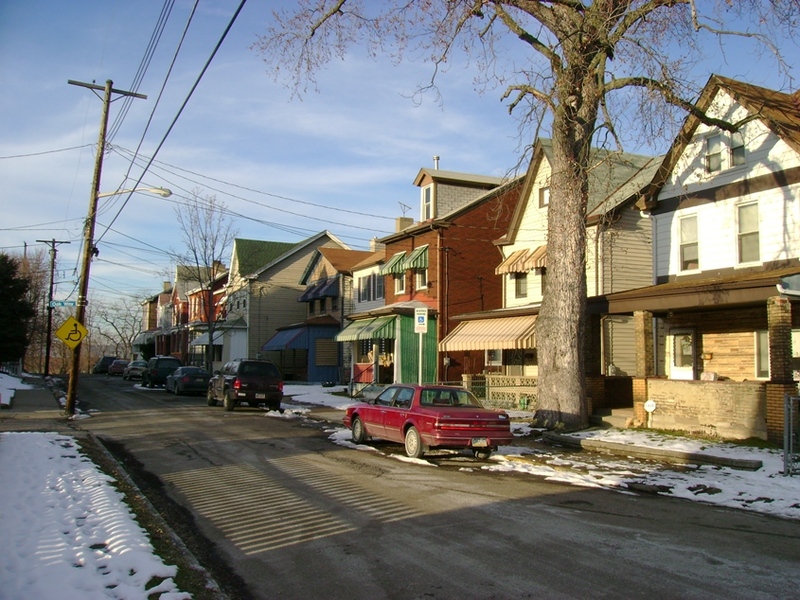 Esplen is a small neighborhood located on Pittsburgh's West End. It is situated along Rt. 51 and overlooking the Ohio River. 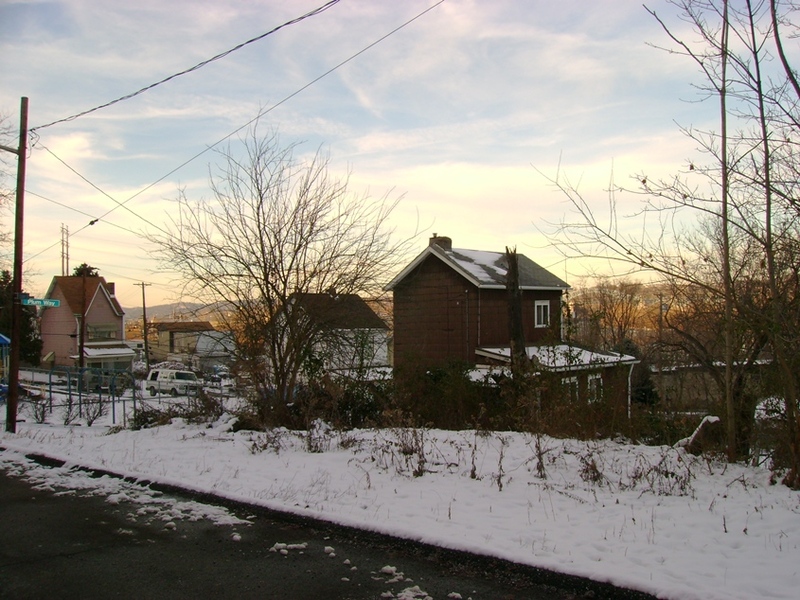 Since I moved to McKees Rocks, a neighborhood adjacent to Esplen, I have become fascinated with this mysterious little neighborhood. I have been able to find out very little about its history. Neither do I know when the decline of this neighborhood began. 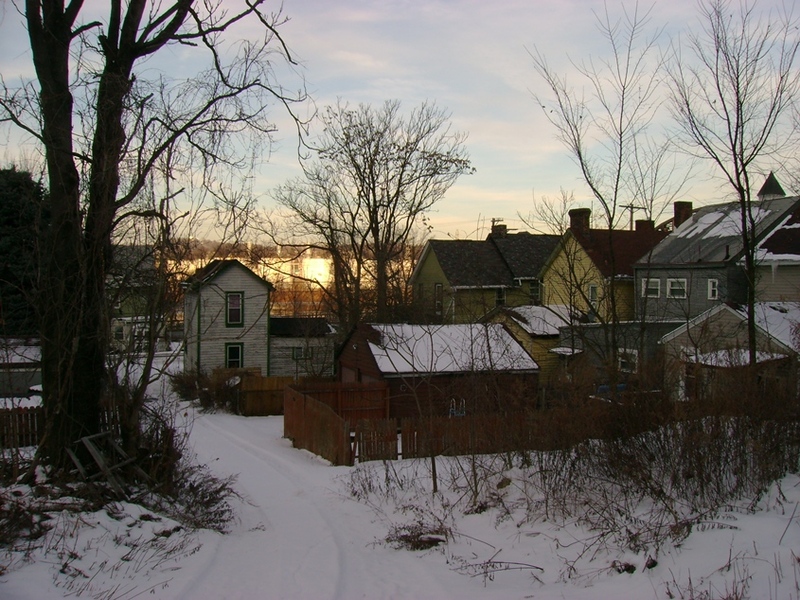 Needless to say, there are ample amounts of urban prairie, where I presume older buildings fell to the wrecking ball over the years, and deteriorated housing. In spite of this, Esplen has an odd charm. 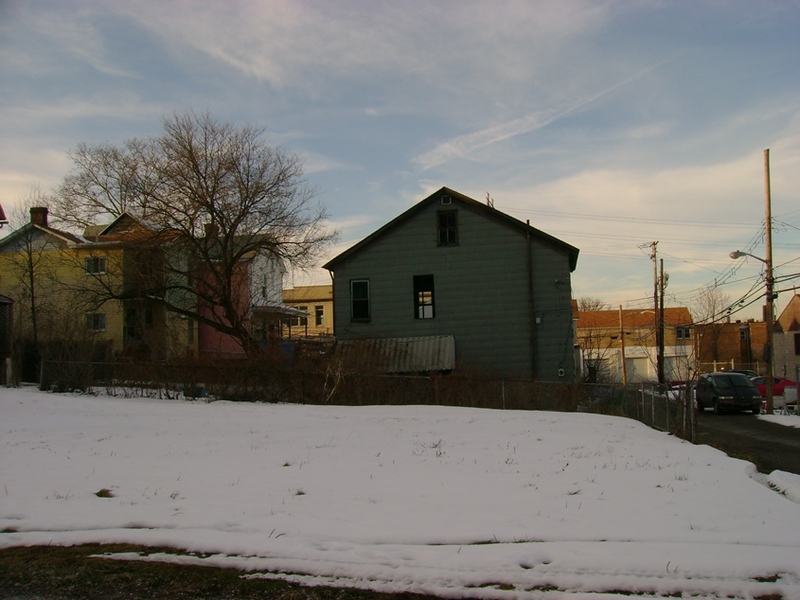 It presents a perfect opportunity for the young person to buy an affordable house and become, in essence, an urban pioneer. I only have one question: what became of the Esplen Citizens Council? Might be the eeriest photograph I have ever taken. 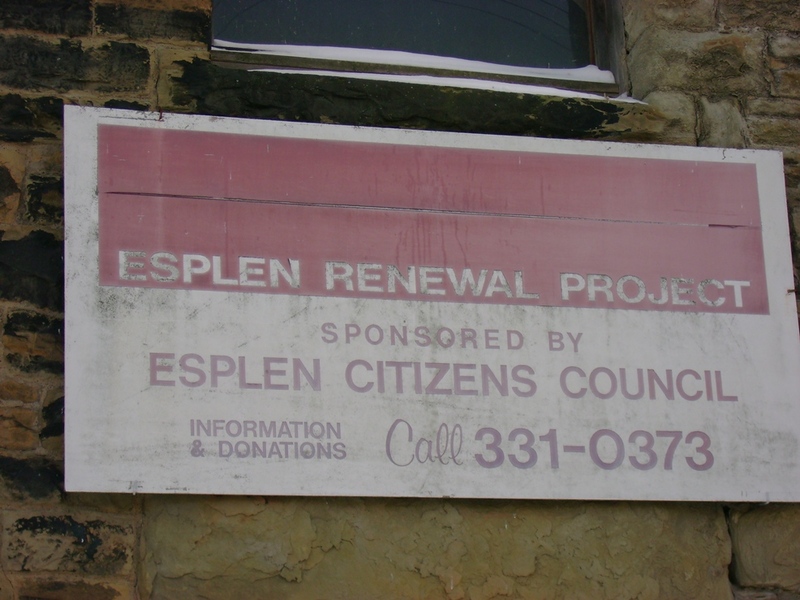 What happened to the Esplen Citizens Council? Odd little house -- I like it. 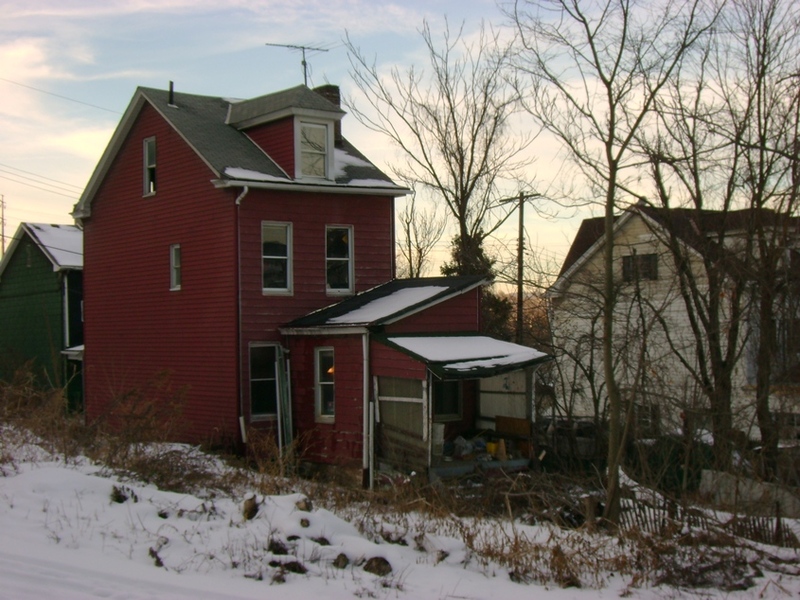 Urban Prairie.... An urban farm house? The house third from right is one I almost bought. 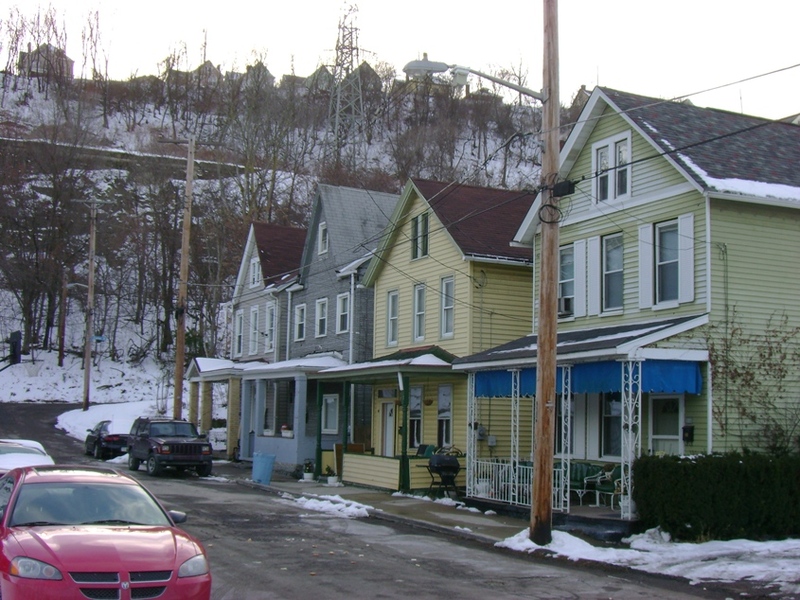 Love this row of houses. 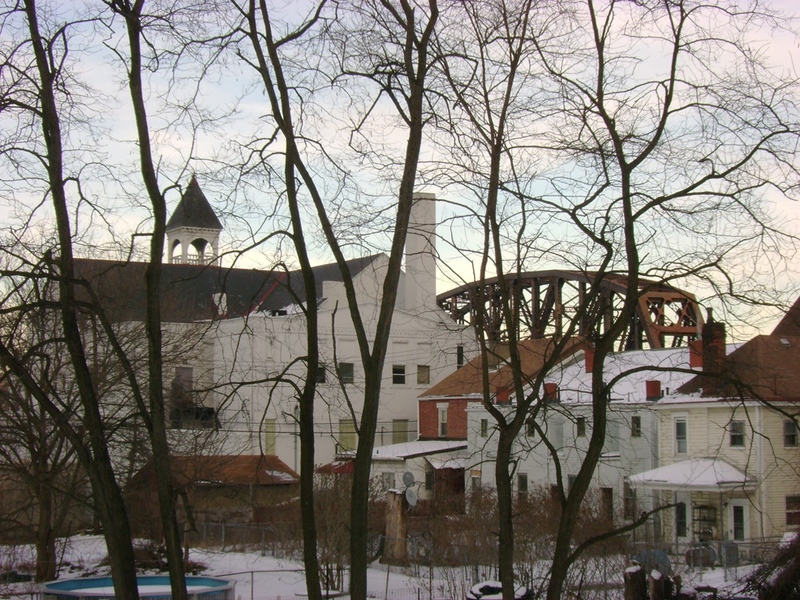 Old Esplen School and bridge. "Thank you so much for posting those great pics. Esplen was my old neighborhood. I lived there from 1956-64. I was told that Esplen was originally a railroad camp. There was a large Lithuanian population. When I lived there as a child, there were still many of them, although there were some Polish, Italian, Irish, Slovak, Slovenian.....you name it. However, I do not recall any Jewish or Black people, at least not in that part of Esplen. Esplen was never what you would call "well off". It was working class and working poor with large families. I recall several teens who dropped out of school. There were a few neighborhood grocery stores, churches, bars, a restaurant. 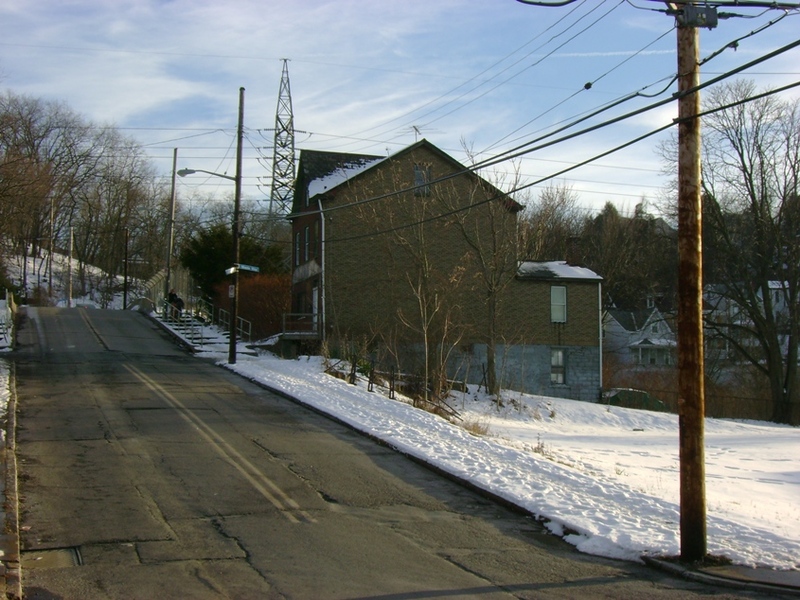 Many people who grew up there in the 20's and 30's still lived in Esplen after they married, sometimes in the same house. 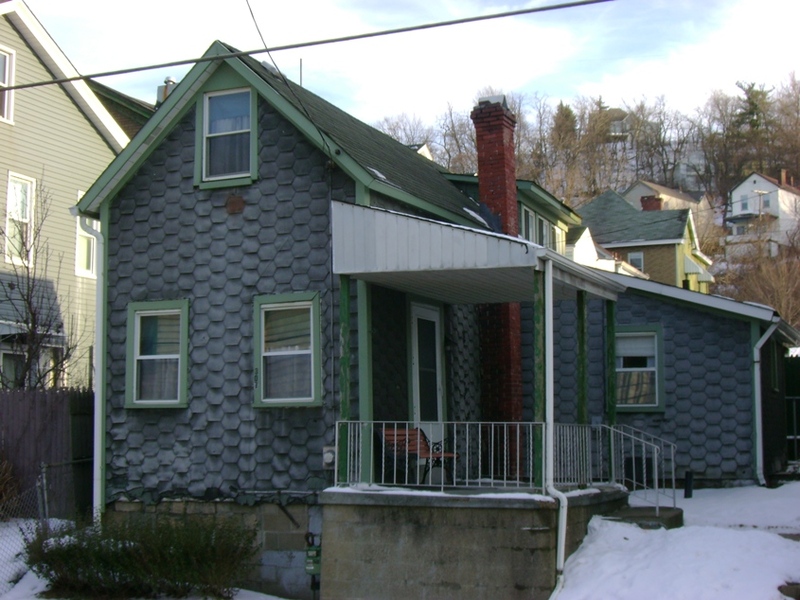 There were some folks who really tried to take care of their aging homes. 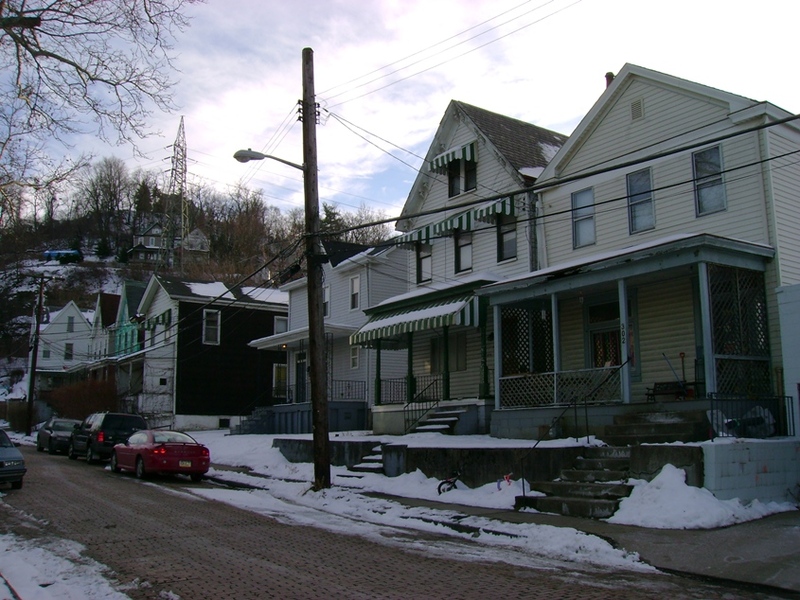 A great many of the homes were built between 1900-1920. 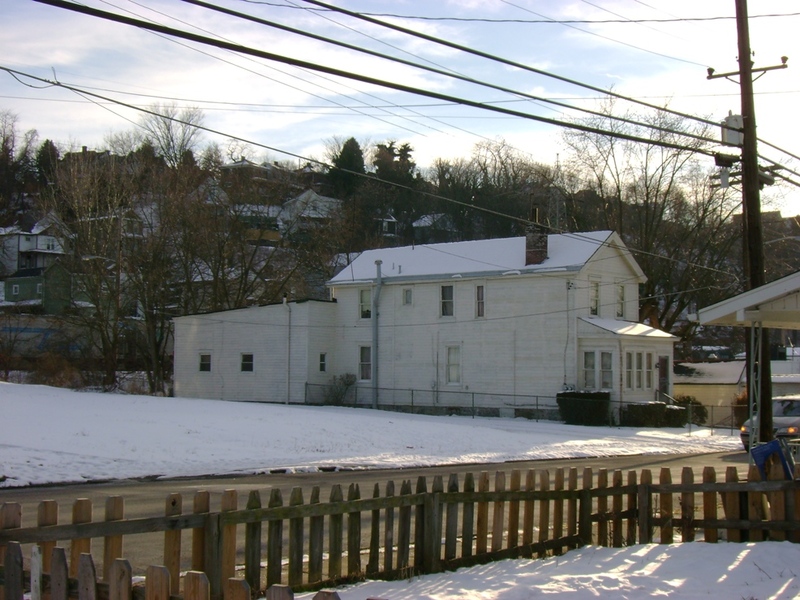 The pictures you posted show my old house, which we rented for 4 years at $53 a month utilities not included. 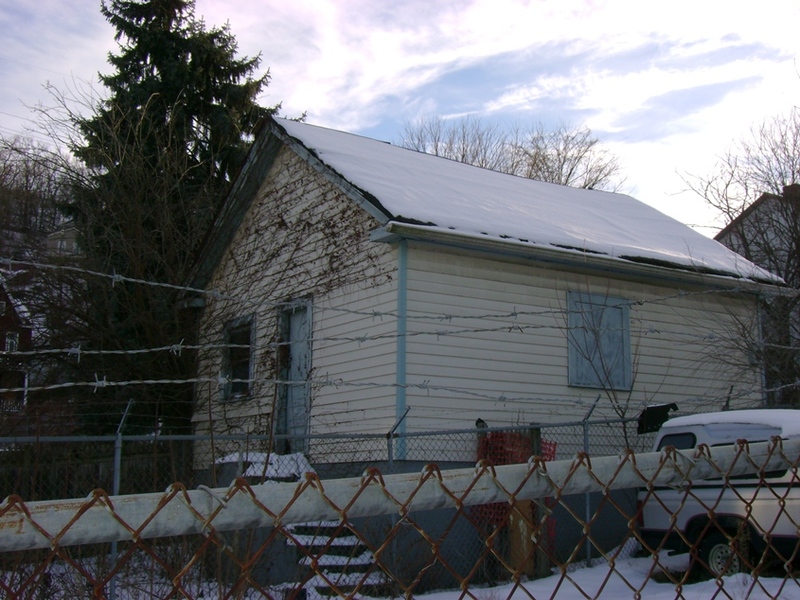 The house was not in good shape, but I do have happy family memories of living there. 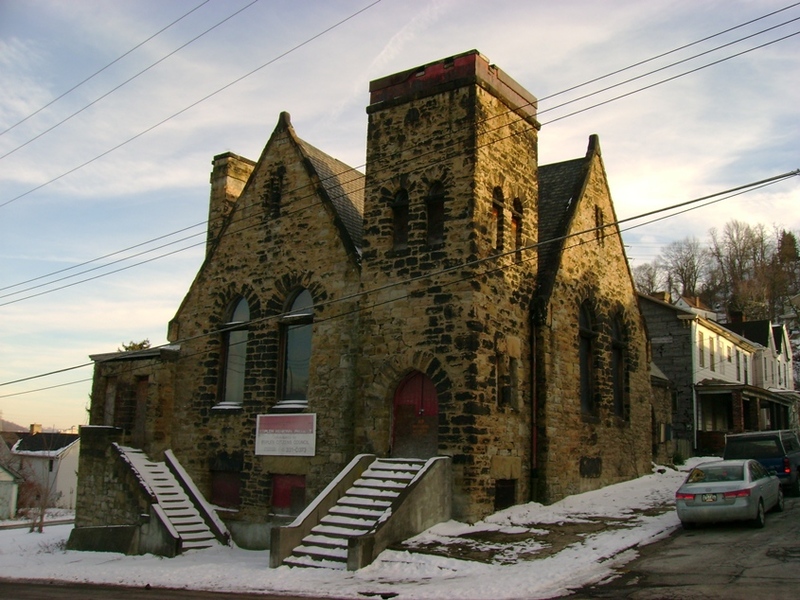 The stone church was a Presbyterian church, where we had Brownie & Girls Scout meetings. 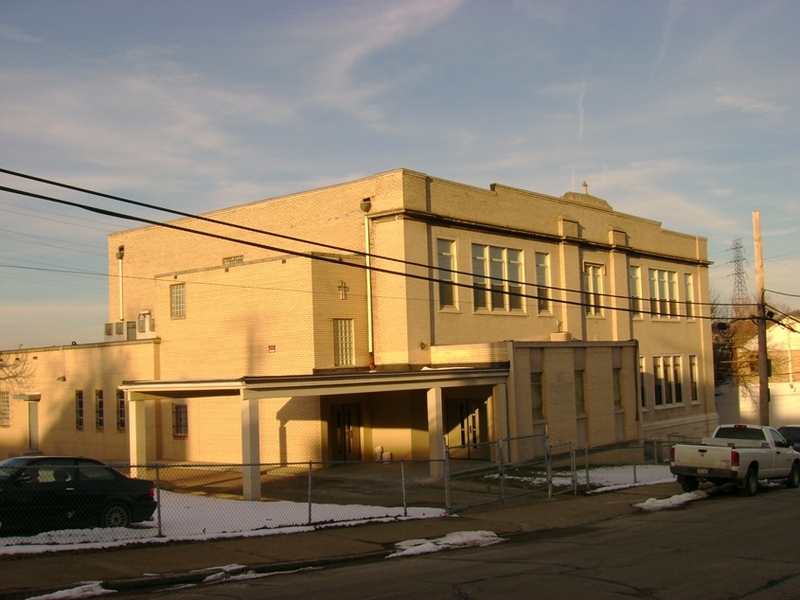 The light colored brick building was St Vincent de Paul RC School. 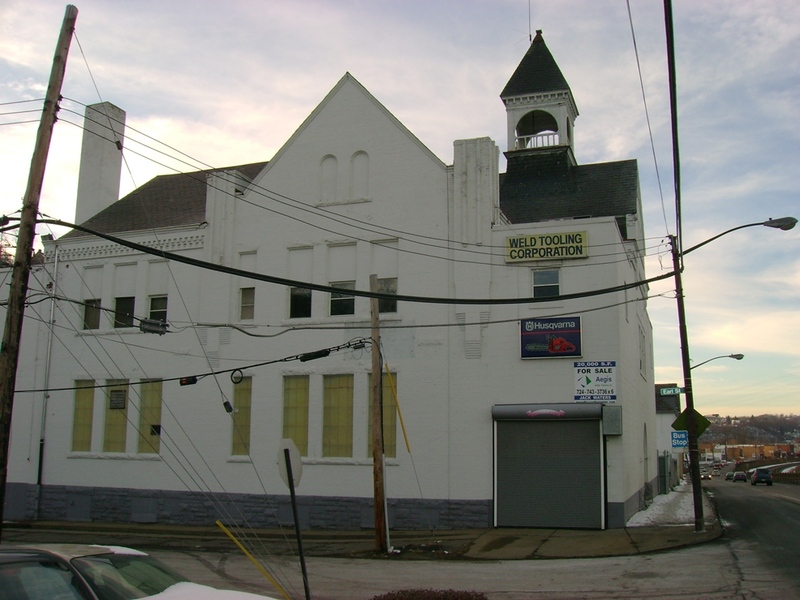 In 1962, St Vincent de Paul Church was moved from the top of Tabor St to the school auditorium. The old church was torn down much later. I visited there in the late 1970's and I could still see the original cornerstone of the old church. Don't know if it's still there. 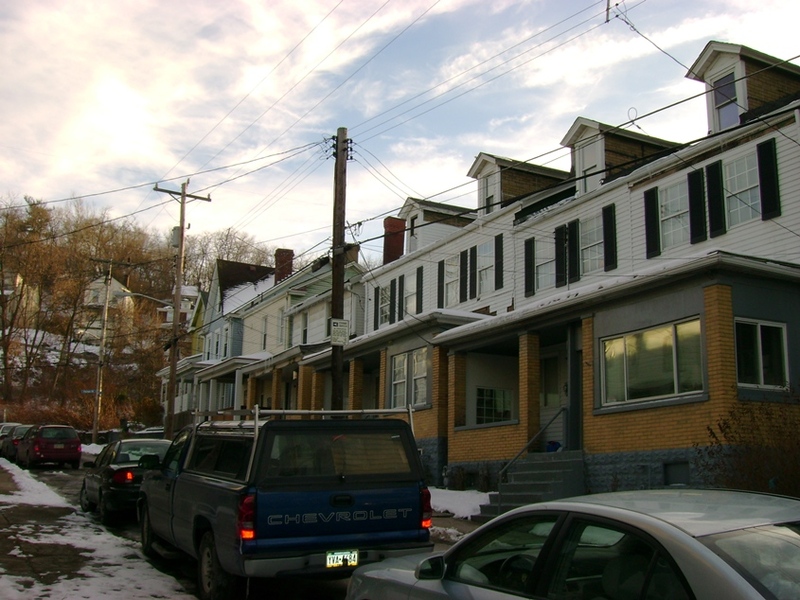 There were a great many homes that were torn down. 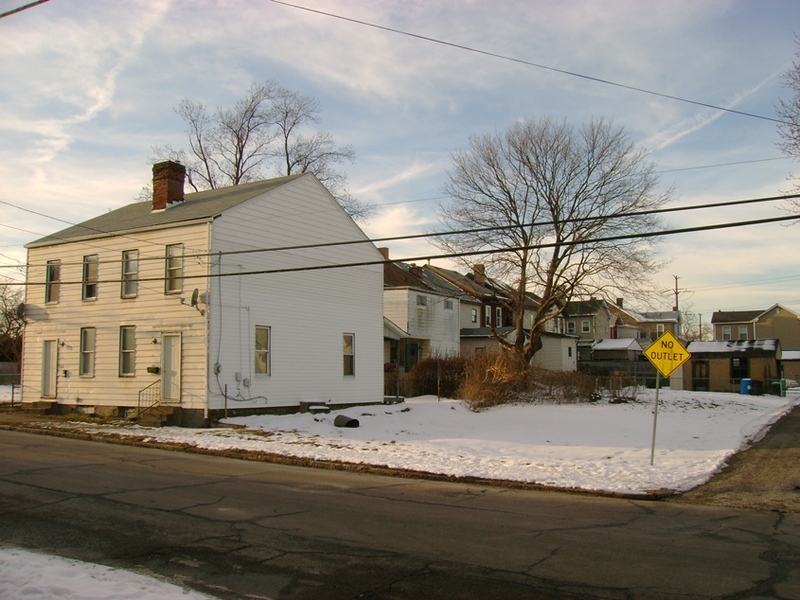 For example, on the same side of the street as the Presbyterian church was a whole row of homes that have been gone for years. Good family memories aside, neighbors could be difficult. A woman on our block was known for poisoning cats because they would wander into her yard. Boys got into trouble for obstructing the railroad tracks or starting fires on the hillside. 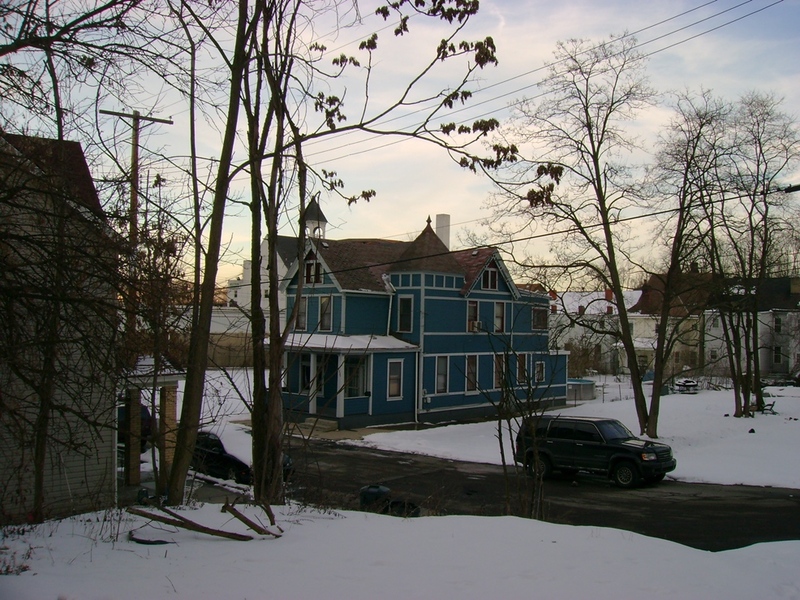 When we moved in 1960 to another part of Esplen(further down West Carson St., across from Brunot's Island)we left some things in the old house to be picked up the next day. But the people who lived next door had broken into the house and cleaned everything out. A few years later one of their sons robbed a grocery store up the street. The last time I visited there was in the 1990's, and the decay was in full bloom. It's really an unsafe place. Sheraden Park was where we would go swimming in the summer. I recall people wishing they could live in Sheraden. 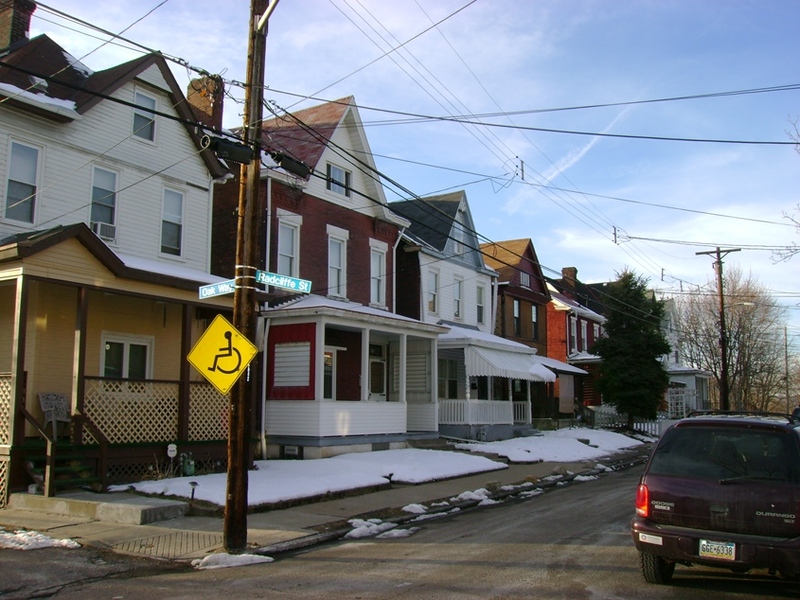 The homes were attractive, the neighborhoods were nicer. It definitely seemed like a giant step up from Esplen. People seemed nicer too. Not as cranky and crabby as in Esplen. I hear Sheraden is no longer that way. Well, I've rambled enough. Let me thank you again for the wonderful pictures and the memories they evoked." "Thanks for the great pictures of the neighborhood that I grew up in! I lived in Esplen for 20 years from 1953- 1973. My parents ran The "Riverside Restaurant" that my grandmother built in the 1920's. 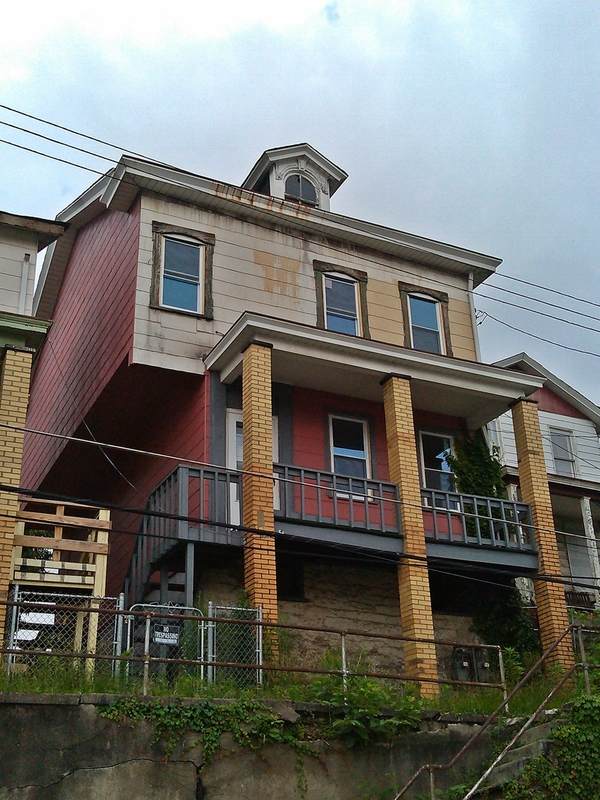 It is still standing on West Carson Street (3337). 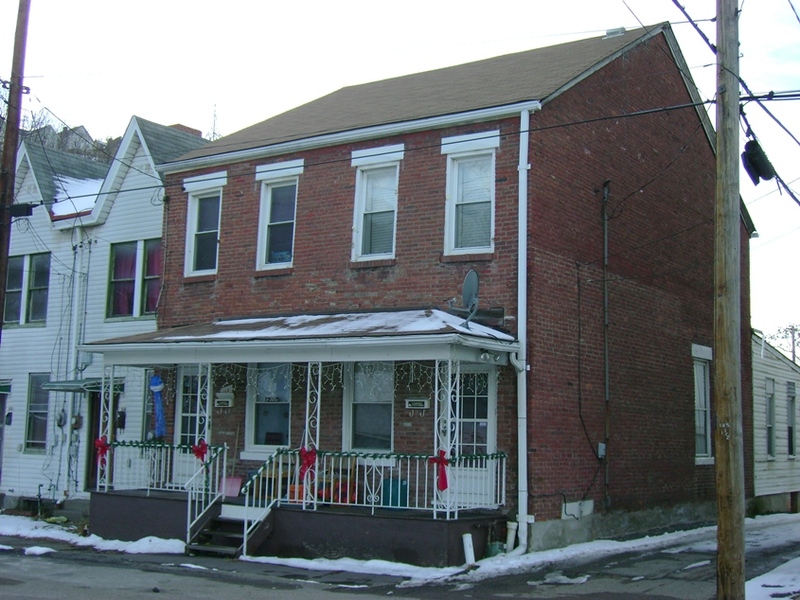 It is a 2 story yellow brick building with the restaurant and bar on the first floor and 2 apartments on the second floor. The Giovengo Grocery Store was next door on the other side of a shared parking lot. 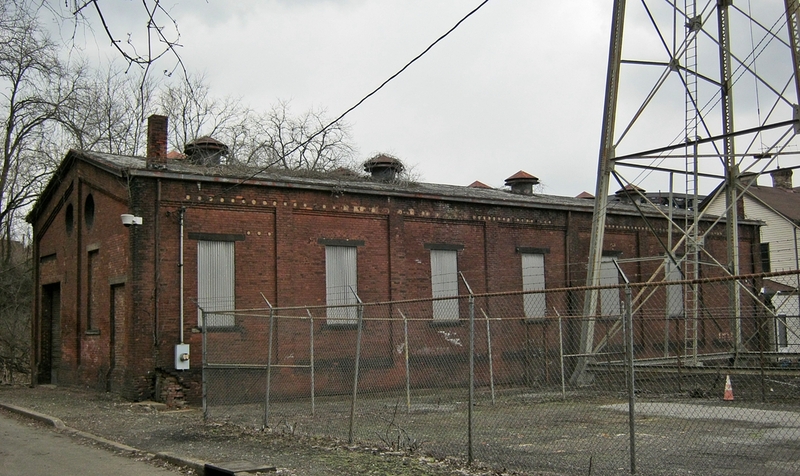 On the other side of the Riverside was the Allegheny Cabinet Company - that made custom cabinetry. On the other side of the Allegheny Cabinent Company was the Lithiauan Club. On the other side of the Giovengo Grocery Store was Bealles Esso Gas Station. 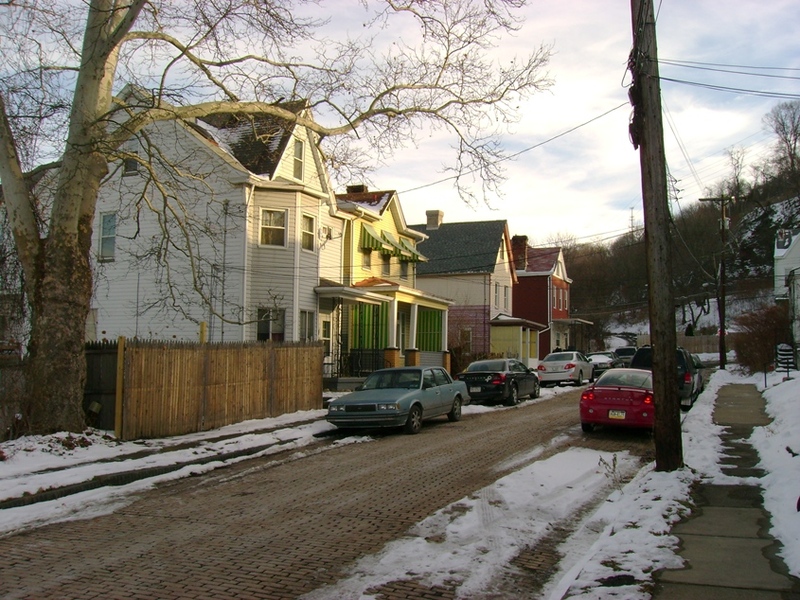 It was a great small local ethnic neighborhood with convenient access to downtown Pittsburgh. The PAT Buses ran back and forth quite frequently on West Carson Street. 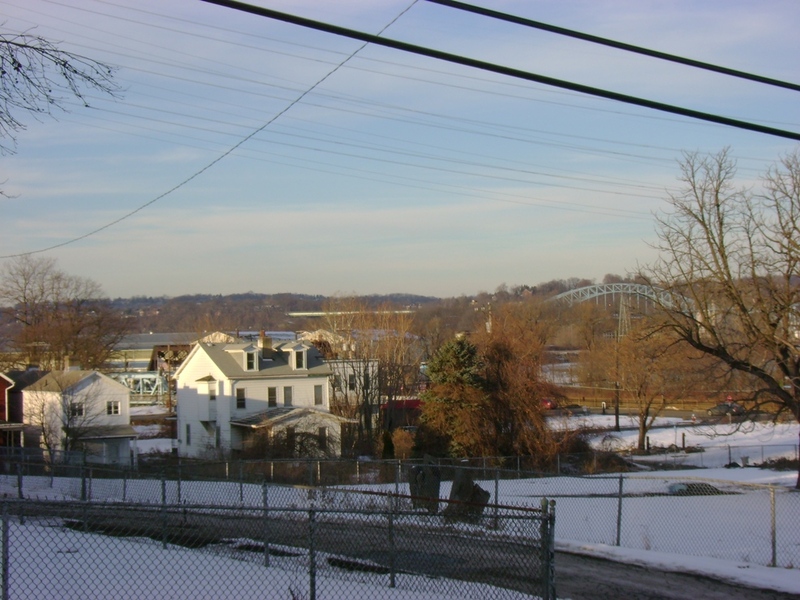 The local catholic grade school and church was on Tabor Street behind the Riverside, Grocery Store and Gas Station. 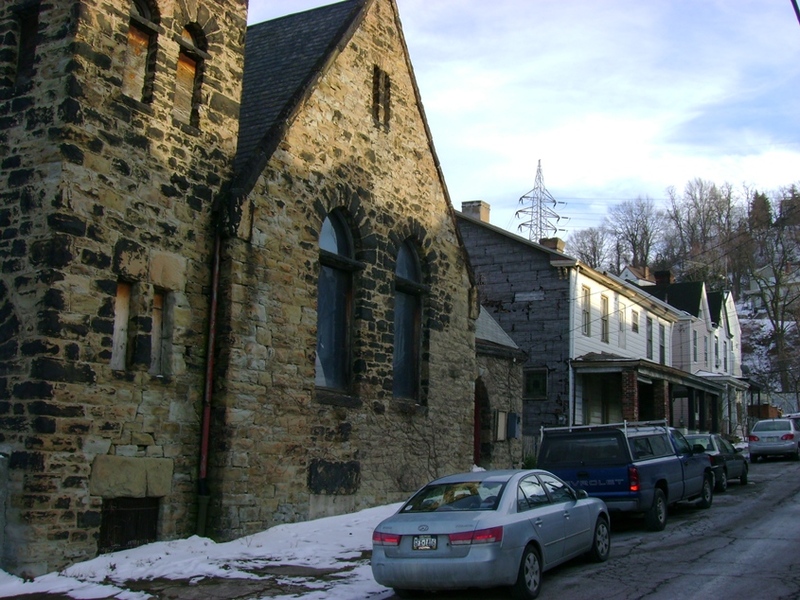 On Tabor Street next to the Church was the convent where the nuns that taught at St Vincent Grade School lived. 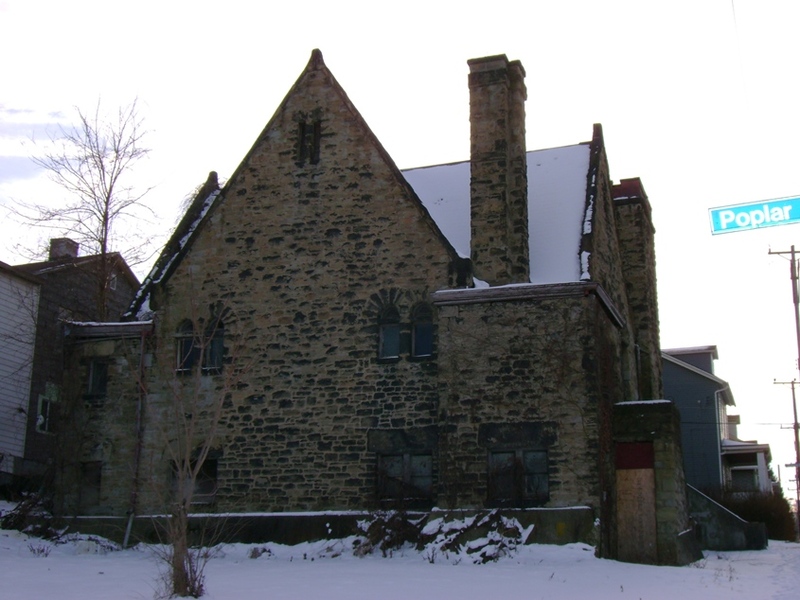 Sadly sometime in the late 1970's or early 1980's the convent was torn down. What a mistake that was. 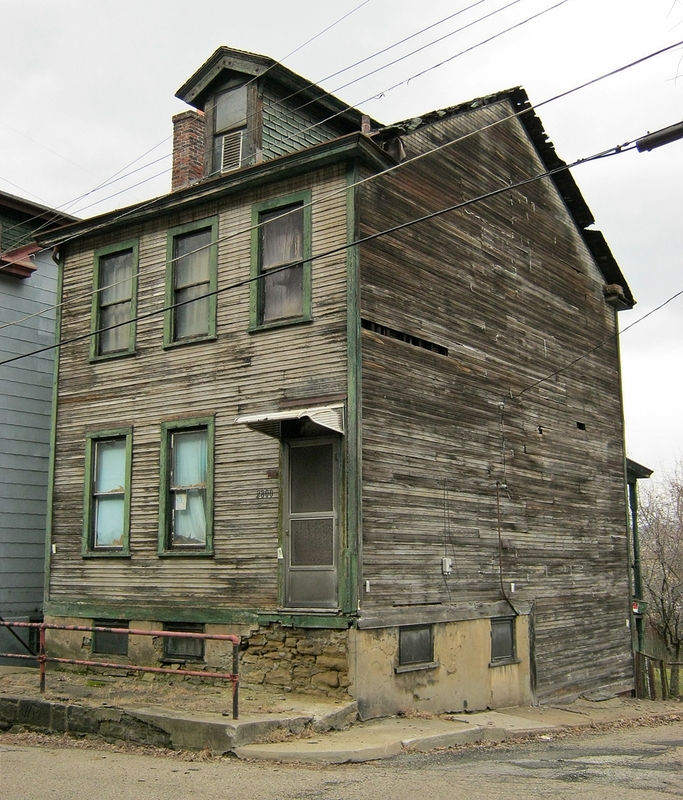 It was said to have an access tunnel to get to the underground railroad. 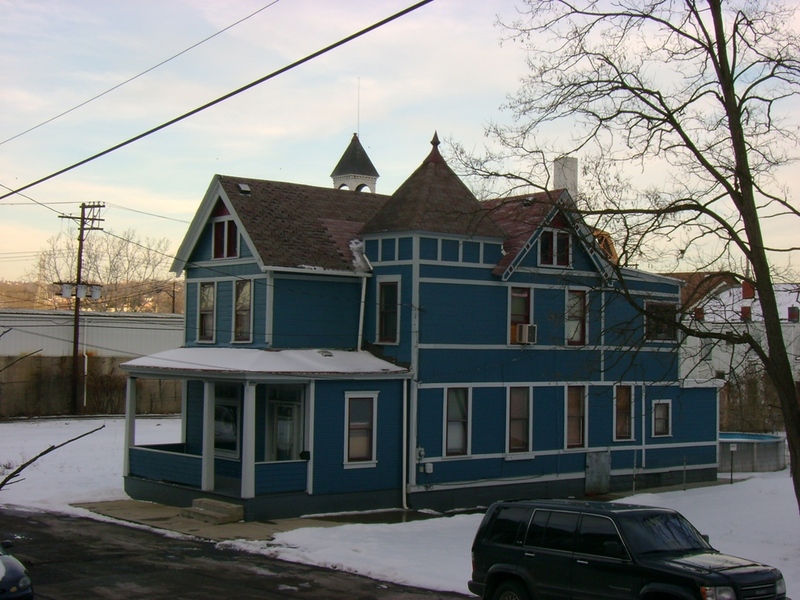 The rather huge house was well over 100 years old. 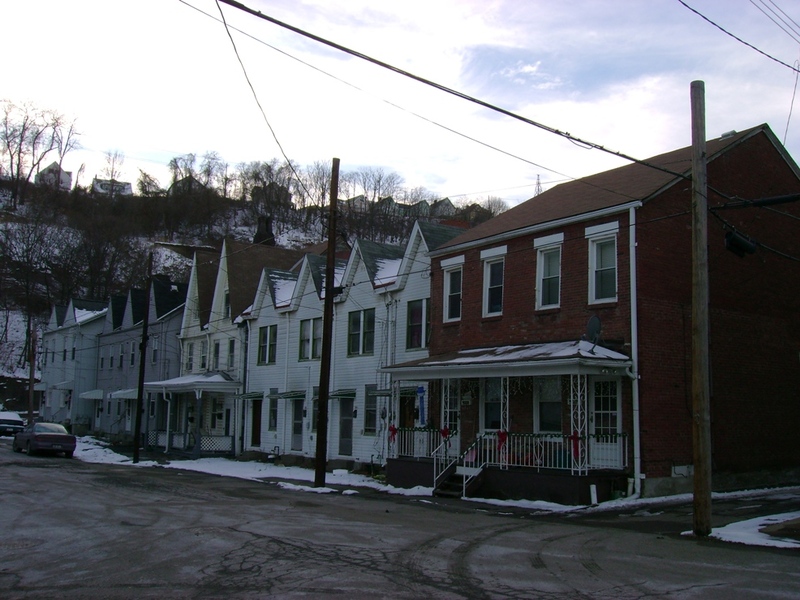 The little neighborhood of Esplen was the home of many mill workers that worked in nearby McKees Rocks and the Bottoms. Thanks again for posting the pictures - Anne Stebelsky Scully"
"I grew up in Esplen, lived on Sagamore street, then on Oregon, and finally on Radcliffe. My grandparents lived south of the Pres. 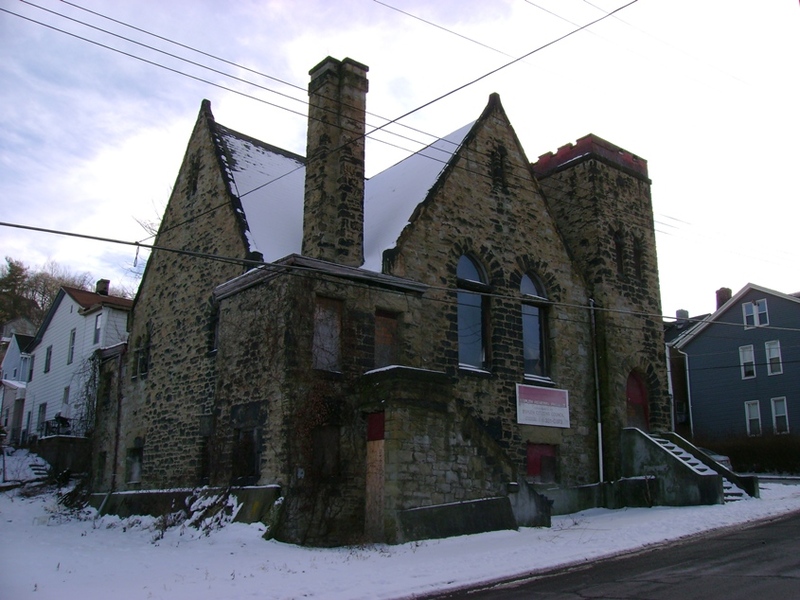 Church on Tabor street, where the Thadeus Stevens Elementary School Bus stop was. Across the street was the best neighborhood grocery store, called Wilsons, the Wilsons used to live on the other side of the Pres. Church, there were two houses in that cluster with what used to be the churches care takers house in the back, all gone now. I had to walk to Langley H.S. every day, no buses, and my family only had one car, and for the 60's 70's driving your kid to school was unheard of. 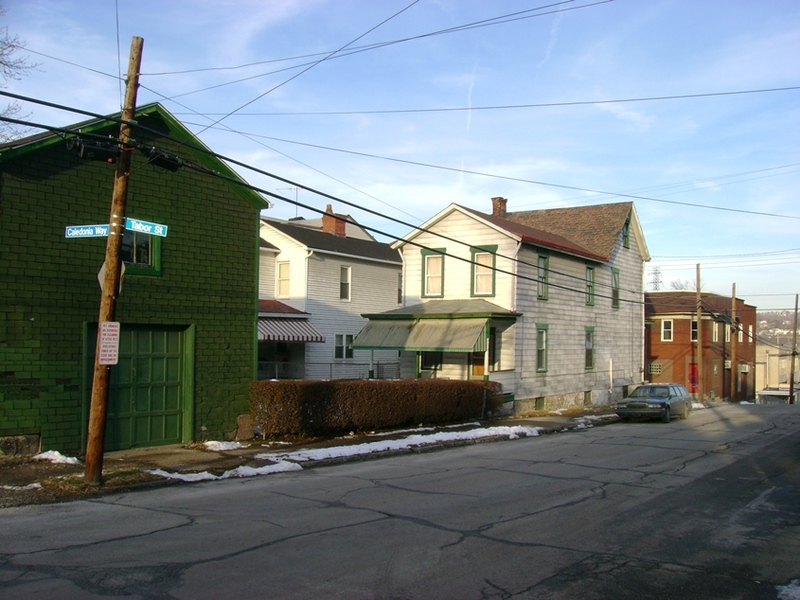 My dad still lives on Radcliffe St. and I can't get him to move, he loves his old neighbors. The comments in one of the posts that everyone wanted to live in Sheridan is kinda funny, within the last 3 months 2 murders have occurred within blocks of Langley. The old timers are still waiting for that ever elusive "soon as people figure out how convenient Esplen is, there will be all kind of development here DREAM, and our property values will sky rocket." I go back now at least once a year, and feel safe, but know its not the Esplen I grew up in. 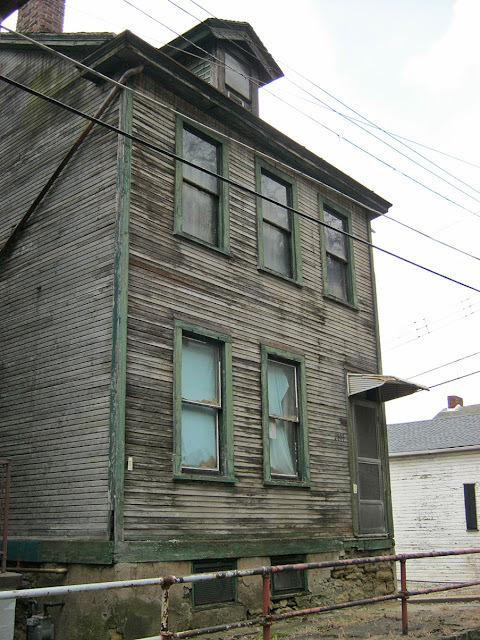 Does anyone remember sneaking under the porch of the house the Catholic Nuns lived in, next to St. Vincents. Man what memories,,,,,,its hell getting old.